Hotel Gran Piedra is a great choice if you want to experience something different to the beaches & vibrant cities of Cuba. It is also ideal if you want to enjoy plentiful outdoor activities & spectacular scenery on a budget. Gran Piedra is in a fabulous location, high up on a mountain overlooking hundreds of square miles of lush landscape & sparkling ocean. 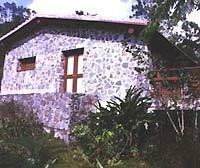 The accommodation is bed & breakfast with guests staying in either cabanas or bungalows. Though these are basic, they are comfortable & very cheap. The communal facilities are what might be expected for a budget hotel but the food & service at Gran Piedra more than make up for this. 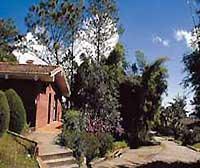 The hotel is in Bacanao Park which is popular with tourists for its views & range of activities. There is something for all the family nearby, including a motor museum, aquarium, prehistoric park & old coffee plantation, complete with houses & cemetery. 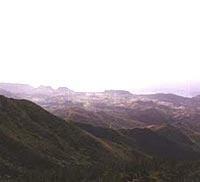 If you want to explore further afield then the city of Santiago de Cuba is only a few miles away. However, if you want a less strenuous stay then you can relax & take in the spectacular views from your room or terrace, while the hotel’s friendly staff also put on regular entertainment. If you are looking for a different type of Cuban holiday, or want to break up your beach holiday with a cheap stay in a charming, rustic location, Gran Piedra hotel is a great choice. Gran Piedra provides accommodation in both cabanas & more spacious bungalows. 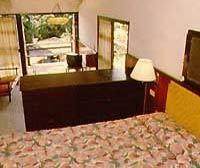 All rooms have double beds & standard facilities such as satellite TV & fridge. All rooms also have a balcony or terrace. Some guests have said that rooms can be rather cool & the bed even slightly damp, due to the humidity. However, the friendly staff do all they can to provide alternatives & ensure a comfortable stay.